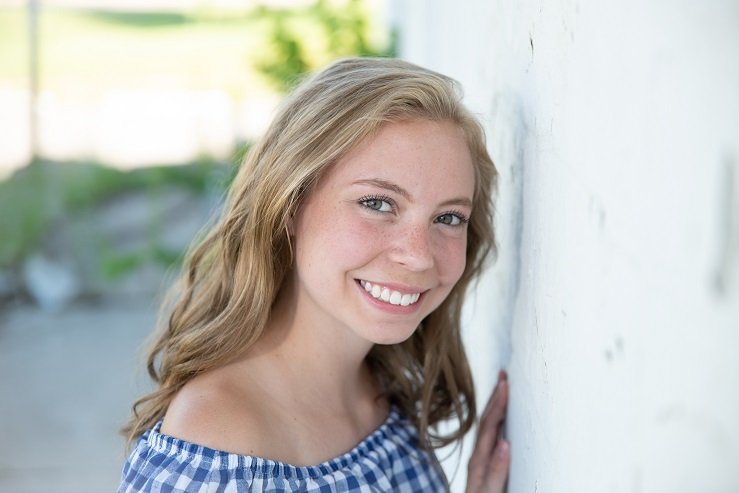 Born in Wisconsin, Kelcey grew up around the St. Charles/Lanesboro, Minnesota, area. She has eight-and-a-half years of experience in health care working in a CNA/PCA role, where she was responsible for the care of geriatric patients as well as children with special needs. 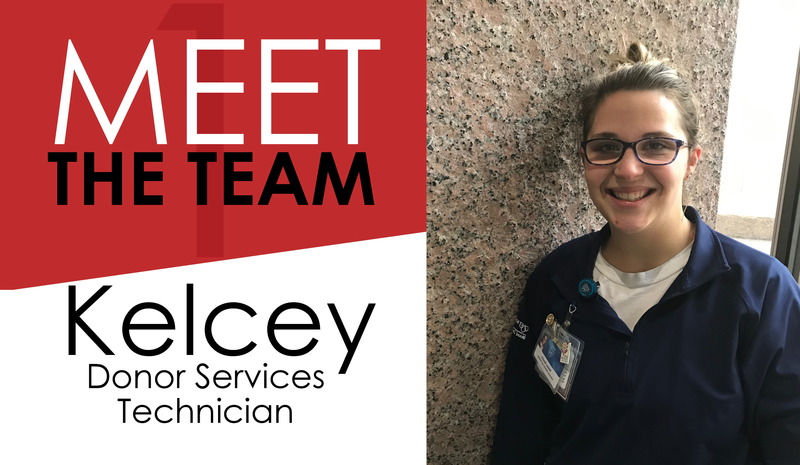 Kelcey recently graduated from the Mayo Clinic School of Health Sciences Phlebotomy Program and has been warmly welcomed as a valued team member on our Donor Services Team. She is currently in school to become an RN and tells us that her past volunteer experience with the ambulance service has instilled in her the desire to set the long-term goal of becoming a neonatal nurse practitioner. She and her boyfriend, Dalton, are the parents of these two sweethearts: Raeya (3) and Axxel (17 months). They just purchased a home in rural Chatfield, Minnesota. When asked what her hobbies were outside of work, she immediately responded with exactly what we might expect. She absolutely loves playing with her children, whether it be a game of ball, learning to dance, coloring a pretty picture, or building forts. She doesn’t get to watch television or movies very often outside of the Disney shows she and her kids hunker down for. She also enjoys fulfilling her sense of adventure in her free time. 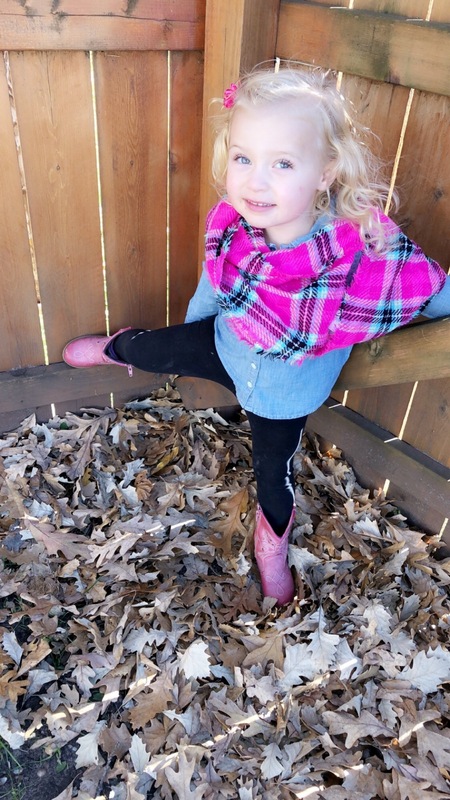 She loves being active in the outdoors with the following activities: walking, hiking, running, boating, four wheeling, razor riding, mud bogging, and swimming. Best of all, she appreciates the fresh air and soaking up the sun—when it’s out, of course. 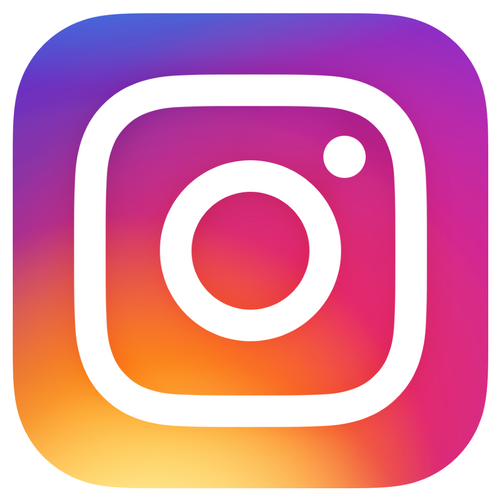 Living in Manchester, United Kingdom, at the time, Atika Sajjad and her husband, Sajjad Hussain, were about to become first-time parents. They had long anticipated the healthy birth of their first child, Laaibah Sajjad. However, things would take an unexpected turn for the worse within a few minutes of delivery. Born on April 13, 2006, little Laaibah entered this world as perfect as her parents had dreamed she would be. However, this blissful feeling was disrupted when the staff noticed that Atika was bleeding profusely without an obvious cause. Atika had just given birth to a life—and now she was fighting for her own. 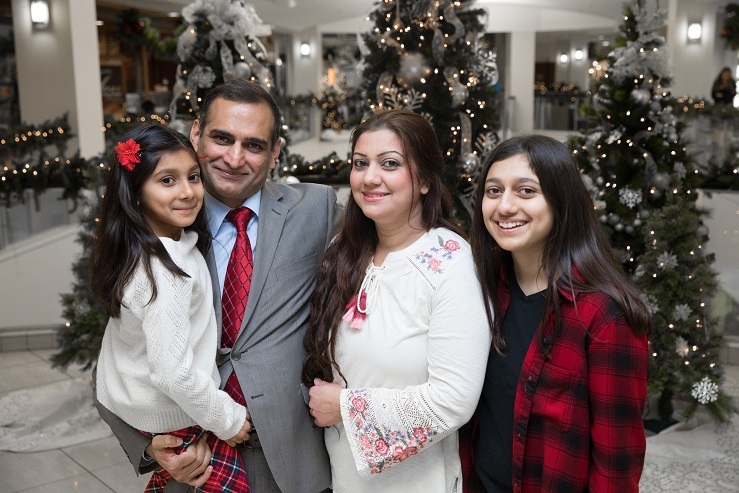 Sajjad, currently an Assistant Professor in the College of Medicine at Mayo Clinic, shares, “Immediately they began to transfuse her—giving her blood through six or seven different routes to keep her alive. She was bleeding unexplainably. I was so frightened, for I knew the extreme danger she was in, since I was a Ph.D. in Oncology at the time.” After it was all said and done, Atika had lost approximately two-thirds of her body’s blood supply, and if not for the blood product on hand, she would not have survived. Having made it through such a traumatic experience, this family knows the sheer joy of being able to experience life together—especially during the holidays. 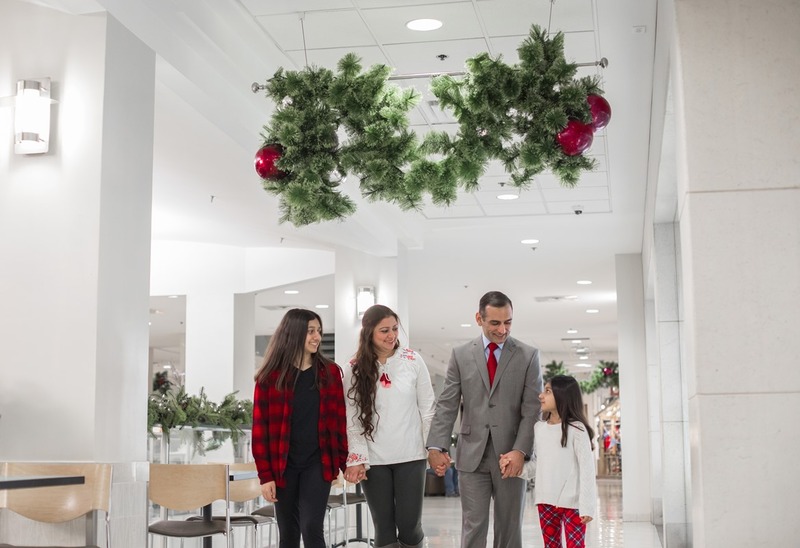 Laaibah, age 12, and Sophia, age 7, couldn’t be happier to have their mommy with them to celebrate not only the holidays, but also everything else in their lives. Atika chimes in, “You always appreciate what you have … food on the table … many blessings.” Speaking of blessings, Atika excitedly shares, “When I saw there was an opening for a technician position in the Blood Donor Program here at Mayo Clinic, I was very interested and excited about the fact that I might actually be able to give back in this way.” Today, we are delighted to have Atika on our life-saving team here at the Blood Donor Program. She is passionate about her role because she truly understands the need for blood. Donate blood, save lives, and give someone another holiday with their beloved family. The gift of life is the best gift of all. 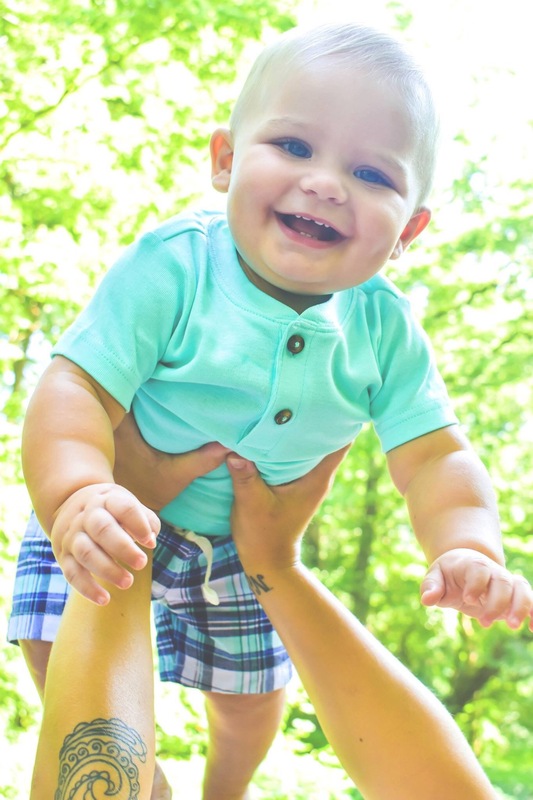 To read more stories like this, visit the Mayo Clinic Blood Donor Program’s Blog Page. 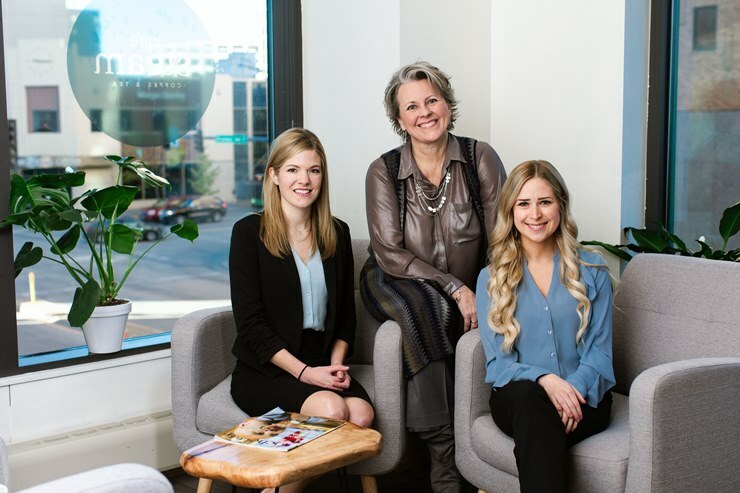 The members of the Mayo Clinic Blood Donor Program’s Marketing and Recruitment Team—Jackie O’Reilly, Kim Schmidt, and Katy Maeder —would like to give you a glimpse of their specific roles and of the strengths that each one brings to their well-rounded team. They all fully recognize that there is no “I” in an effective team, which is why they work so well together and complement one another’s individual strengths. Networking, critical thinking, strategic planning, and relationship building are a large part of the team members’ job descriptions as representatives of the Blood Donor Program. 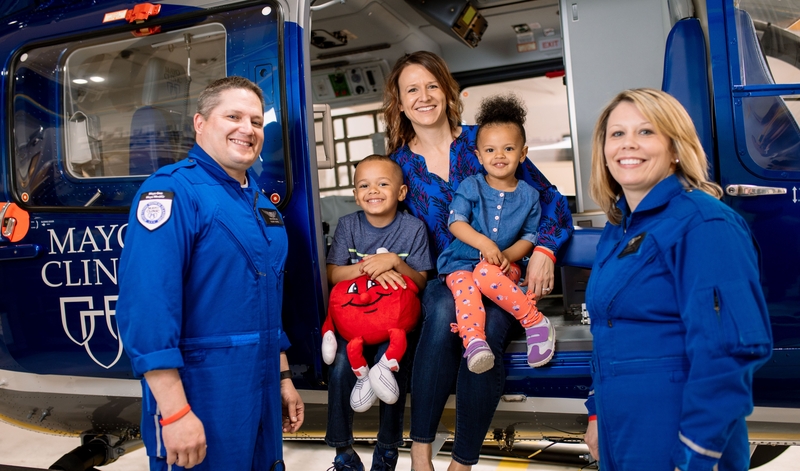 Their mission is to share about the need for blood product with anyone they come into contact with, whether it is inside Mayo Clinic, with colleagues, or within the community, so that Mayo Clinic will always have an adequate blood supply on hand for patients in need. 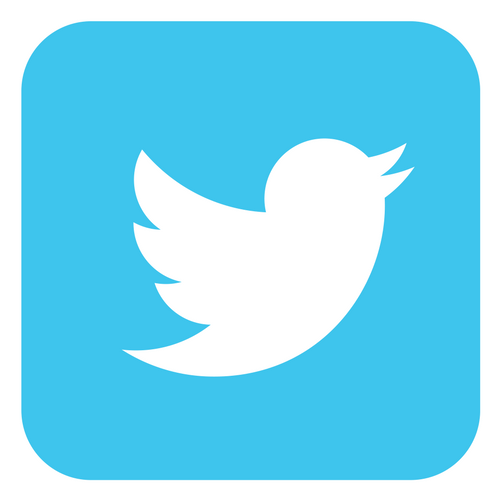 Read on to get to know each team member a little better. Jackie is the analytical one on the team, always looking ahead to improve any process and willing to try new ideas. With a background in event planning, Jackie keeps her teammates on their toes with her organizational and planning skills. Jackie enjoys the community engagement aspect of her role, which includes participating in local events, meaningful interactions with community members, and networking with local leaders. Most of all, Jackie is a storyteller. She delights in sharing heartwarming stories of blood donation recipients with various local audiences. With 35 years of service to Mayo, it is nearly impossible for Kim to walk through the subways without acknowledging and greeting her many friends, acquaintances, and past colleagues who she has had the privilege to work with. Relationship building is one of her greatest strengths in this role. When she is posed with a question related to her role, she usually has someone come to mind who she can tap for the answer. She is also all about smiling—when you smile at someone, it’s contagious. She considers it a joy to be able to come to work each day to do all she can to reach others, inviting them to donate blood to help save patient lives. Katy brings a creative edge to the Marketing and Recruitment Team. With previous marketing experience, she has helped to transform the Mayo Clinic Blood Donor Program brand. Katy enjoys working on social media content, brainstorming different community campaigns, and networking over a cup (or two) of coffee. While she has only been at Mayo Clinic for a little over a year, she fits in just right with the team. Can’t you tell from the picture? You may find any one of them (or perhaps all three) scurrying through the subway to her next presentation to meet someone who is willing to share their blood donation story. The next time you see Jackie, Kim, or Katy in the skyways or byways, please feel free to stop and visit. They are always looking to improve their program for the sake of saving patient lives. 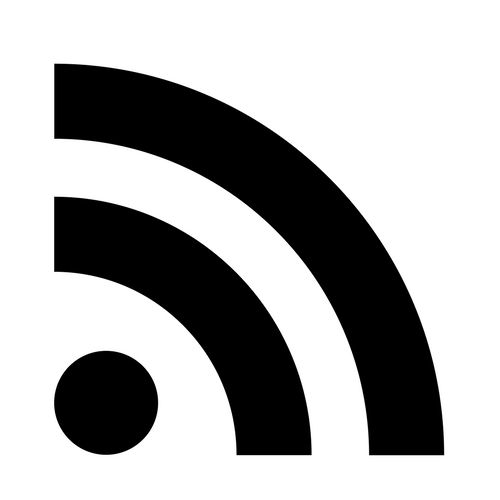 They also love to hear your remarkable stories. 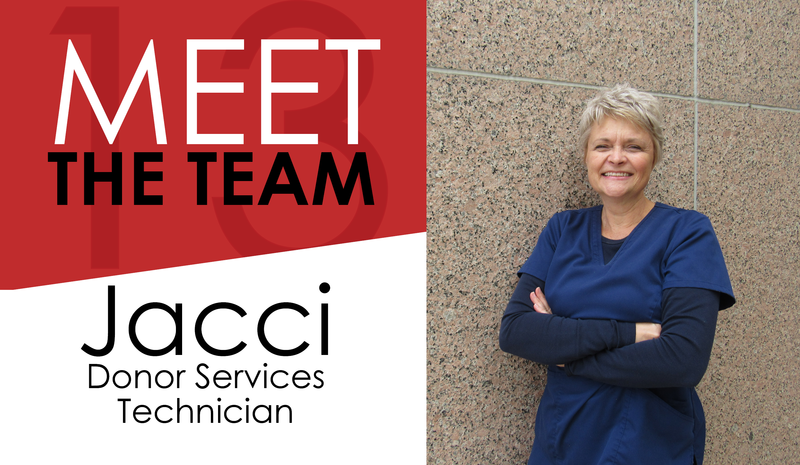 Of the 28 years of service to Mayo Clinic, Jacci has devoted the past 13 to our blood donors at the Mayo Clinic Blood Donor Center as one of our seasoned technicians. When asked what it is that she enjoys most about her position, Jacci shares, “I learn something new every day from speaking with our donors. It’s amazing where a 20-minute conversation can take you.” Jacci’s joy in her work shines through those interactions not only by taking her into her donors’ lives, but also because they are able to catch a glimpse of her personal life outside of work through their delightful conversations. 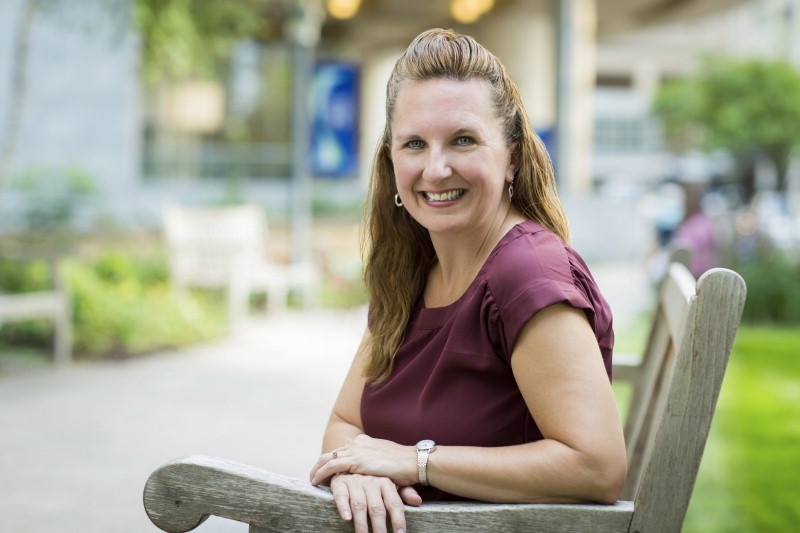 Her caring spirit and beautiful personality are common threads that weave together the blood donor family at Mayo Clinic. 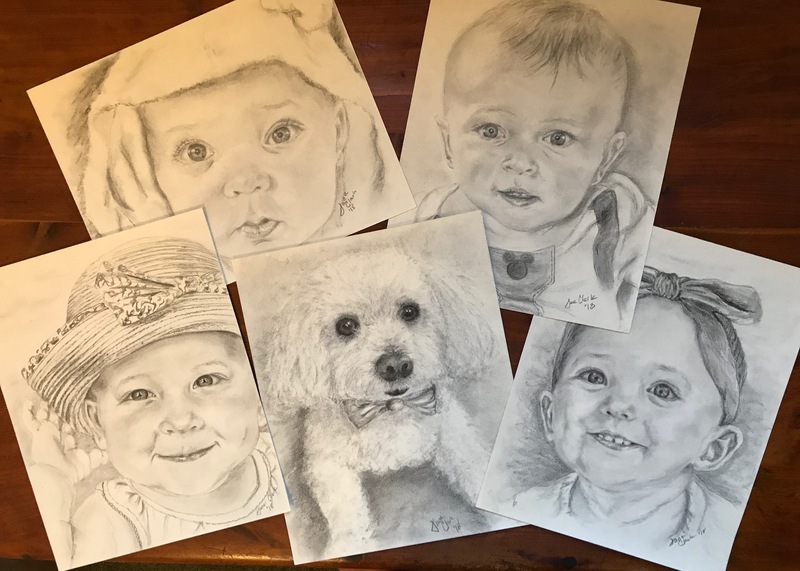 Selfless: Some of Jacci’s most precious interests outside of work are her children and her grandbabies. She thoroughly enjoys spending as much time as she can watching her “little grands” grow up before her eyes. She recently spent a week in Southern California in her old stomping grounds. “I love being on the beaches,” Jackie shares. 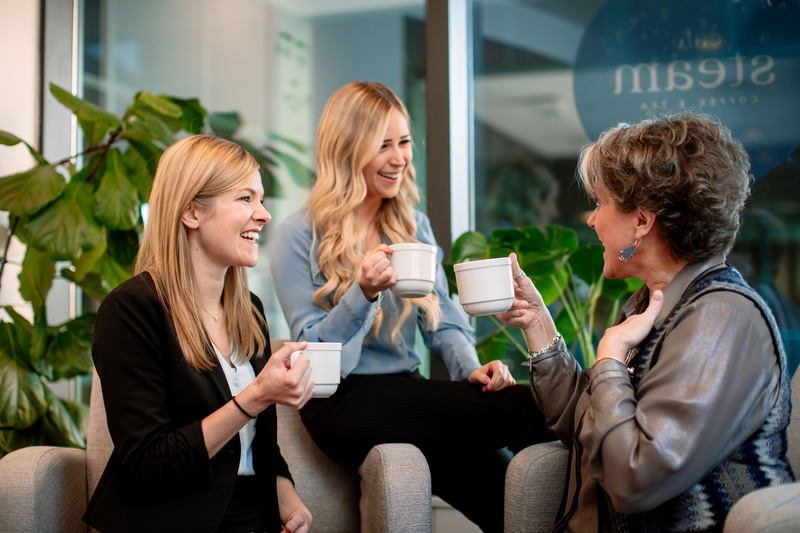 Witty: When she has free time outside of these activities, Jacci may be found with her nose in a good book, bringing smiles to the readers of her blog, and sipping on high-end, high-caffeine lattes. On February 20, 1995, Robyn’s life was altered forever. A leisurely drive into work suddenly turned for the worse when she was rear-ended by another driver. Luckily, she did not suffer any substantial injuries from the accident, but when an officer arrived on the scene and asked Robyn to exit her vehicle to write up his report, it was in that instant that her story changed drastically. Unfortunately, a second car struck her throwing Robyn into the front of the vehicle parked behind hers. “When the second driver tried to back up, my left leg got caught on his license plate and dragged me 10 feet,” says Robyn. Ending up with two broken legs and a hairline fracture to her pelvic bone, Robyn wasn’t the only one her family was concerned about following the accident. 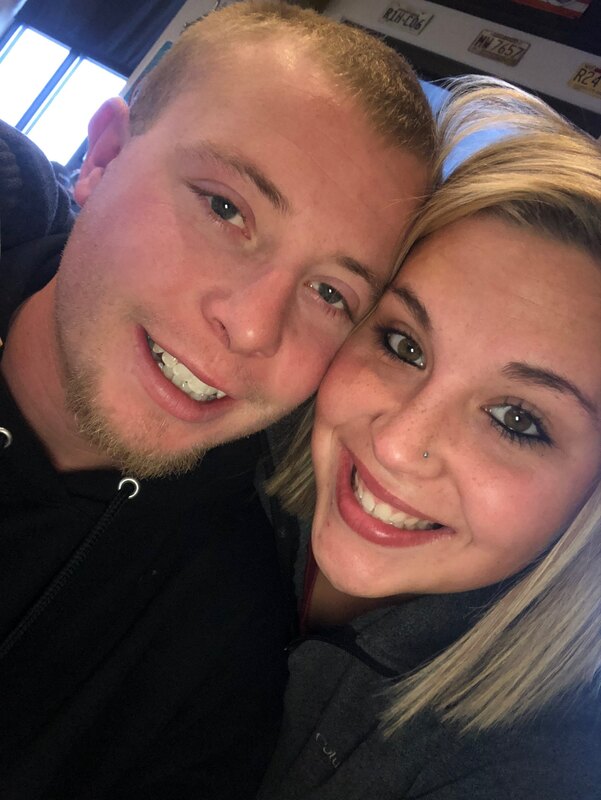 She was also six months pregnant at the time, which meant she couldn’t receive any pain medication upon arrival to the hospital until the staff could safely assess her baby’s condition. Over the course of the next three days, Robyn had three surgeries at Mayo Clinic in Rochester. That April following the tragic accident, Robyn gave birth (while in traction) to a healthy baby boy she and her husband named Travis. Over the past 20 years, Robyn has undergone multiple surgeries. Because of the damage inflicted upon her body through this traumatic experience and many surgeries throughout the years, Robyn shares that she has received approximately 15 units of blood. Robyn recently became aware of the blood donation eligibility guideline that allows persons who’ve had blood transfusions in the past to donate one year post-transfusion. So, she has decided to donate blood for the first time. “I am very grateful that someone donated when I needed blood. If it wasn’t for those people who donated in my time of need, my son and I probably wouldn’t be here today. 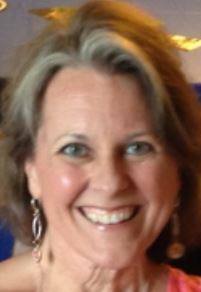 Now, it is my turn to return the favor and donate for someone else,” Robyn shares gratefully. To read more stories like this go to Mayo Clinic Blood Donor Program’s Blog Page. For more information about donating blood in Rochester, Minnesota, call (507) 284-4475 or email donateblood@mayo.edu. Or visit our web page at http://www.mayoclinic.org/donateblood. MJ and Amaya accompany their mom, Amber, aboard Mayo One and say “Thank You” to Tim and Tricia. We say it all the time—Count your blessings. 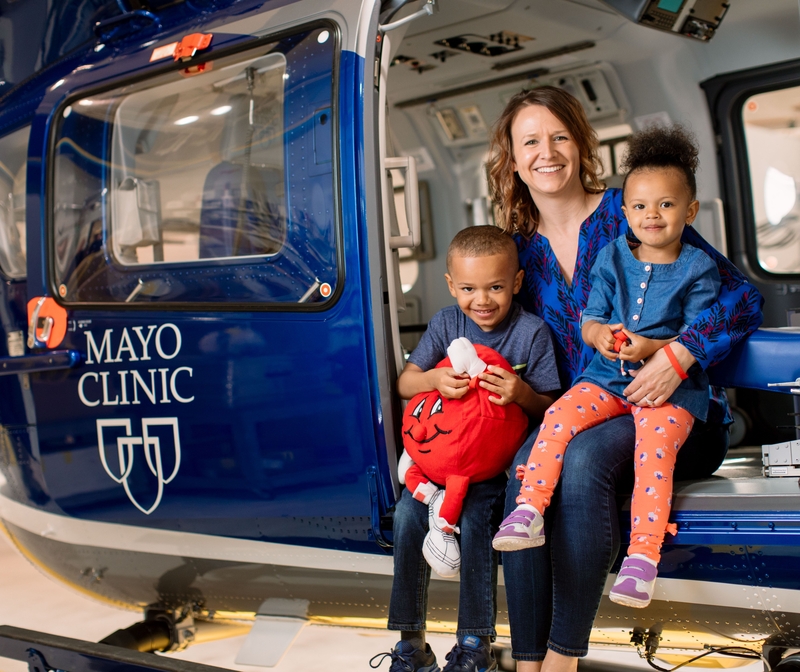 Scurrying to the top of the Mary Brigh Building to the Mayo helipad, little MJ (age 5) and Amaya (age 2) excitedly accompanied their mother for a tour of the Mayo One helicopter and to meet two of the crew members who saved Amber’s life: Tim Alden, R.N., and Tricia Riggott, Flight Paramedic. On September 26, 2014, Amber was overdue for the delivery of her little girl, and she was admitted to the hospital at Mayo Clinic Health System in Red Wing, Minnesota. Following her doctor’s decision for an emergency C-section, Amber welcomed a healthy baby girl into the world. But due to further complications, Amber experienced massive bleeding and required an emergency hysterectomy. She lost five liters of blood and was immediately given a blood transfusion. Unfortunately, Amber’s body wasn’t able to cope with the blood loss. So Mayo Clinic’s emergency helicopter, Mayo One, had to transport Amber from Red Wing to nearby Rochester. While en route, Mayo One’s crew transfused two more units of blood and three units of plasma to Amber. When she arrived at Mayo Clinic in Rochester, doctors realized Amber was still bleeding internally. She was rushed into surgery—her second emergency surgery within 12 hours. In all, Amber received thirty units of blood, and her entire body’s blood supply was replenished four times. 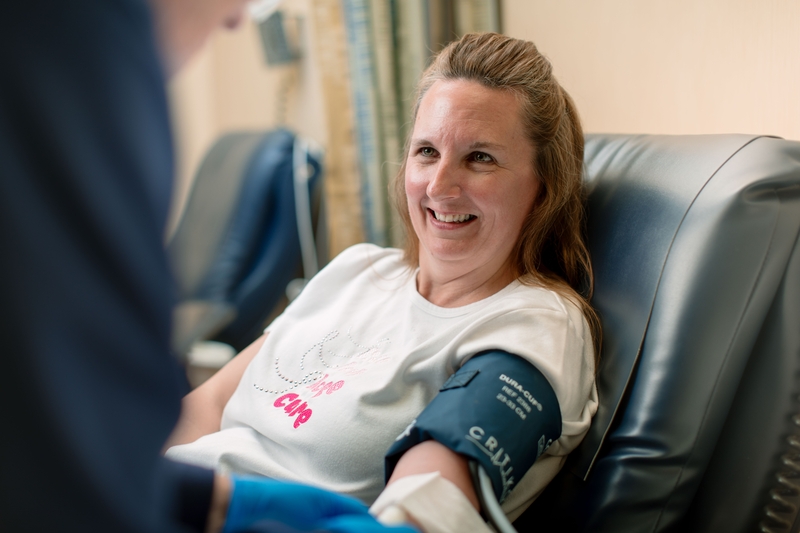 The staff members of the Mayo Clinic Blood Donor Program are continually working to raise awareness within our community about the ever-present need for blood products for our patients. We asked the Mayo Clinic Trauma 1 Center staff if they would join us in spreading the word, and they, of course, were all on board. Having shared Amber’s story a few years ago, we thought it would be interesting to catch up with Amber today. Since May is National Trauma Awareness Month, what better time than now. Call the Blood Donor Center in Rochester at (77)4-4475 (Hilton Building) or (77)5-4359 (Joseph Building). 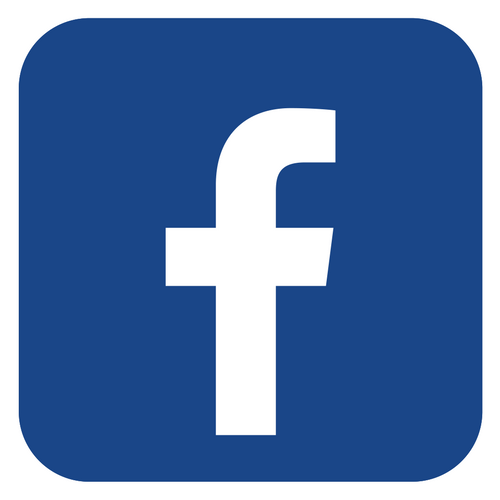 For up-to-date information about blood-product needs and other ways you can volunteer at the Blood Donor Center in Rochester, visit the Blood Donor Center blog, the Blood Donor Center website, join the center’s internal Yammer group, and/or like the center on Facebook. 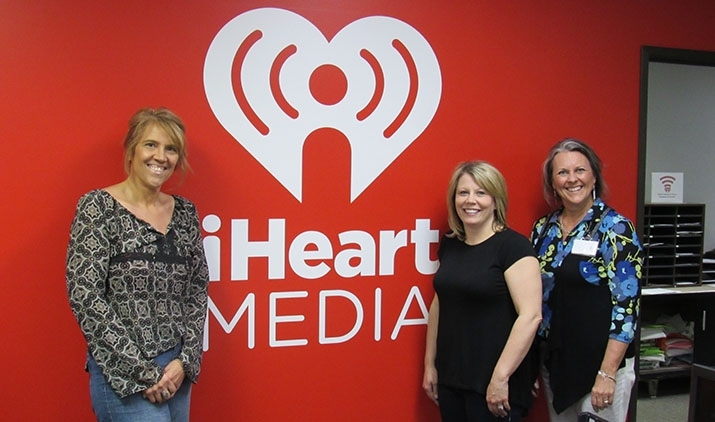 On a May 14 iHeartRadio program, host Julie Jones (far left) interviewed Mayo Clinic Flight Paramedic Tricia Riggott from Mayo’s Trauma 1 Center, and Recruitment Coordinator Kim Schmidt (far right) from Mayo’s Blood Donor Program in Rochester, Minnesota. The trio discussed that May is National Trauma Awareness Month and that there is always a constant need for blood donors. The interview appeared on local radio stations Laser 101.7 (KRCH-FM) and 102.5 The Fox (KMFX-FM). A special thank you to Julie Jones and iHeartRadio for inviting us to share our need on their Sunday morning program.